What is this Family History Library? Unless you are new to genealogy, chances are you have looked for your ancestors on FamilySearch.org. The website has thousands (if not millions) of digital images of records from around the world. What you may or may not know is that Family Search is the website attached to a physical, brick and mortar library dedicated to exclusively to Family History/Genealogy research. If you thought the website’s record collection was impressive . . . well, it represents just a fraction of all the records held at the Family History Library. The Family History Library (FHL) is located in Salt Lake City and owned and operated by the Church of Jesus Christ of Latter Day Saints. Family History Research is something of a tenet of the LDS faith. I am not the person to ask about the details regarding exactly how or why this is, but as a result of this tenet, the LDS community collects and shares its record sets freely. The resources at the FHL are available to the public at zero cost. I think I speak for genealogists everywhere when I say, for this, I am grateful. So let’s talk about these records. And before I begin, let me just say this is not meant to be an exhaustive essay on all the services and resources available through FamilySearch.org and the FHL. Today, we deal with the basics and save the rest for another post. So you may have gone to FamilySearch.org at one time or another and typed in your ancestor’s name. Likely a bunch of records came up. Some were your ancestor, some weren’t. So those records represent the FHL records that are both ONLINE and INDEXED. But, did you know that there are a bunch of records at FamilySearch that are ONLINE but NOT indexed? For example, I found a baptism record for one of my ancestors by searching the Chicago Catholic Church records on familysearch.org. I went to the CATALOG, typed CHICAGO into the place field (click on the correct place option that automatically comes up), and then chose Church Records. I found the church where I thought my ancestors’ worshipped. Then I browsed the records for the correct year and approximate month, and there she was! That record was not INDEXED, so it never came up when I used the SEARCH option. Now, the majority of the records at the FHL are not ONLINE and may or may not be INDEXEd. They are on microfilm (In addition, there are also books, maps, journals, etc. etc). You can find descriptions or abstracts of these records when you use the search feature or browse the card catalog, but you do not see the actual image(s). For example, one day when searching the catalog at FamilySearch.org, I found a record set on microfilm titled, “World War I Service Records of Utahns.” I knew my Grandpa’s stepdad was a WWI Vet from Utah. I was able to retrieve the microfilm, search through it, and indeed, there was a record of my Great-Grandpa, with a PICTURE OF HIM WHEN HE WAS A BOY!!! Jackpot!!!! So what do you do if you find a record you would like to see, but it’s not online? First, you could travel to the Family History Library and look it up yourself (and many genealogists do). A research trip to Salt Lake can be a very rewarding experience. Second, you could see if your local Family History Center contains the record set for which you are looking. Family History Centers can be thought of as satellite Family History Libraries. 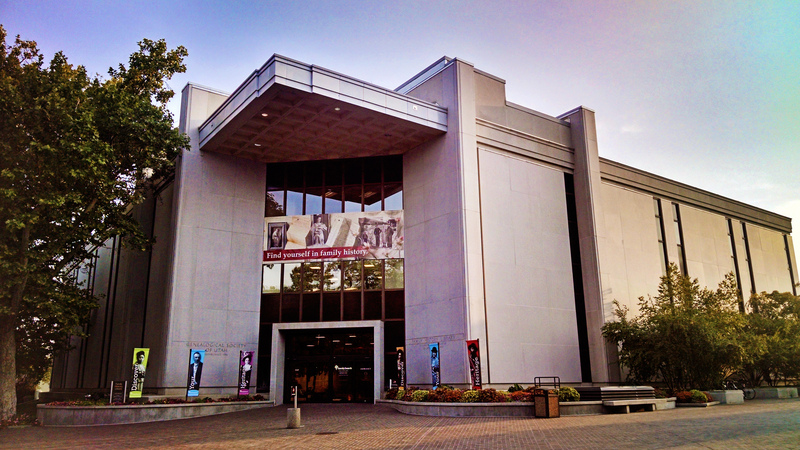 Located around the world, these satellite centers often contain microfilms and records pertinent to the geographic area in which they are located. Third, if your local Family History Center does not have what you need, but the FHL in Salt Lake does, you can usually have the microfilm sent to your local center for a nominal fee (similar idea to an interlibrary loan) and a varying amount of wait time. Once it arrives, you can view the record at the Center. Your final option is to have someone local to the Salt Lake area look the record up for you and send it to you (usually electronically). This is where ALMOST HOME comes in. For $15 per document fee or $30 per hour, I am happy to find the specific document you seek at the FHL and email it to you. So, again, those are the basics. I hope that explanation was clear and helpful. Feel free to comment or contact me if you have questions.